Demolition derby games are always fun, and a title like Arizona Derby certainly manages to raise the stakes in that regard. This is a fun game where you get to play as a driver enrolled in the Arizona Derby show. Your goal is simple; you need to crash as many obstacles as possible and reach the highest possible score. There are tons of obstacles in your way though. Other cars will attack you too, and there will be a plethora of animals like elephants that will come in your way too. But what makes the game, so fun is the realism factor. Everything in the game can be destroyed, and that’s what makes the game so much fun. You can quickly destroy all types of items in here, and that’s what you want to do to acquire a very high score. The physics engine is very good for this title, and everything can easily be destroyed to crumbles in a matter of minutes. But that’s not all. The game does an excellent job when it comes to further improving the gameplay mechanics. It’s a very action-packed experience that helps you create your driving stories. 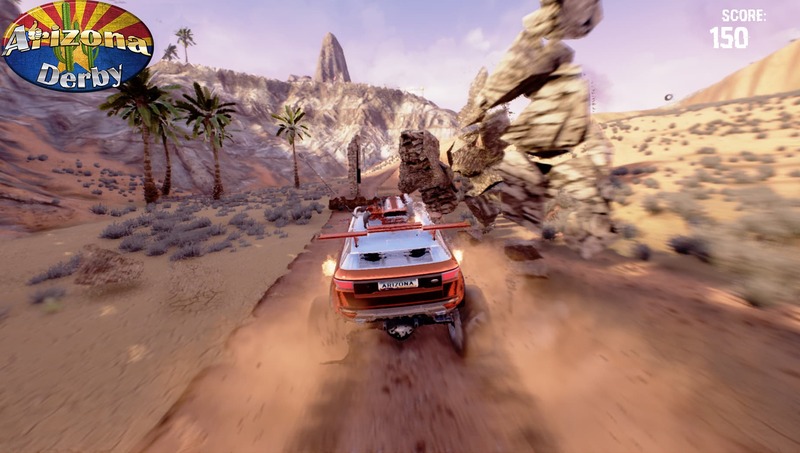 The off-road mechanics are very good, and the controls are designed to be tight and compact. You won’t have a problem controlling the vehicle, although your skills will indeed be tested by the treacherous roads. Arizona Derby is all about testing your reflexes and doing all you can to reach the end of the level. It is a fun, exciting and beautiful game to play. There’s a lot of action packed gameplay in this title and each time you play you get to explore more and more locations in Arizona. There is no Multiplayer as of yet, but the developers are actively working on it. As you can imagine, this will offer you the ultimate showdown between players. This feature is coming soon, and it’s certainly something that all destruction derby game fans are waiting for. The same goes for the entire road map, which is always evolving. The true focus on realism and the easy to use interface make this game a pleasure to explore. 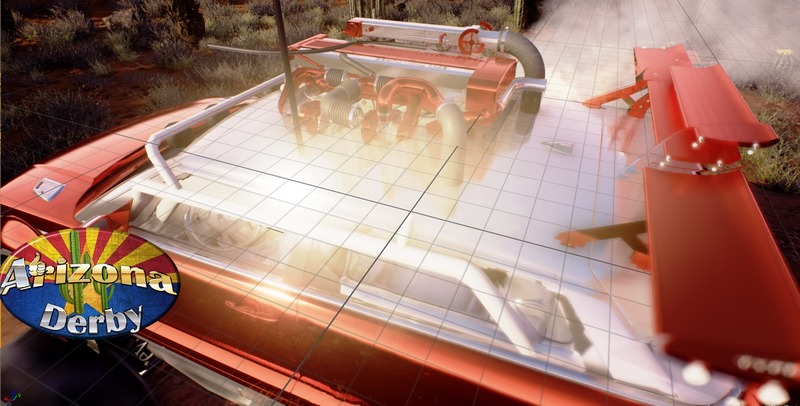 Plus, Arizona is the perfect game for such a game, because there are many offroad locations and canyons that you can check out. Graphically, Arizona Derby is also very impressive. The visuals are second to none, and the game world is incredible too. The car models are detailed too, and there’s just a lot of quality and value to be had in here. The camera can be a bit off at times, but you can easily change it whenever you want. Overall, Arizona Derby is a fascinating, fun title with a lot of great mechanics and plenty of fun moments for you to enjoy. 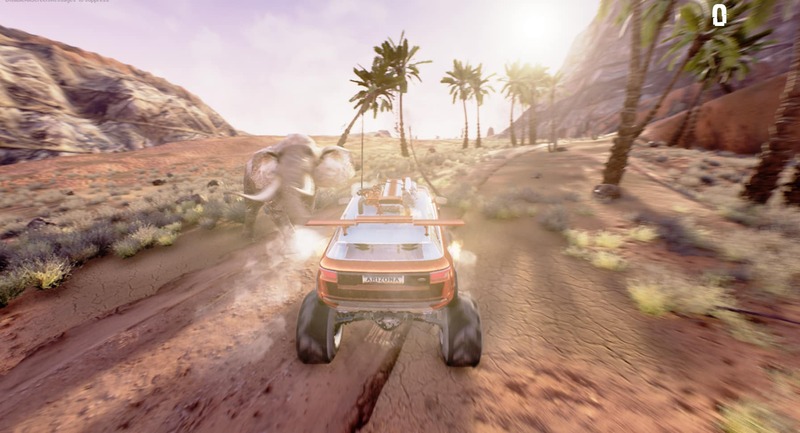 It’s a delightful game that will allow you to explore the Arizona deserts unlike never before. If you always liked destruction derby games, just consider checking this game out, as it’s a lot of fun! The review was written by Gaming Contributor – Alexandru T.